San Diego wants everyone to go green with their Christmas Trees. Now that the holiday is over, the City and County are offering more than 40 different locations for people to drop off their trees. SAN DIEGO (KGTV) - Now that the holiday season is coming to a close, you may be wondering how to get rid of your Christmas tree. Luckily, San Diego officials have made it simple. 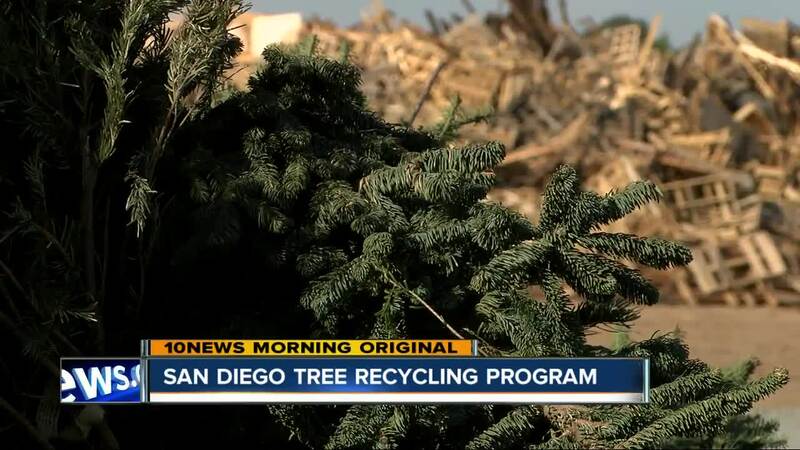 Every year, the City of San Diego Environmental Services Department hosts its Christmas Tree Recycling Program . A total of 16 drop-off locations are available for city residents. Both green and flocked trees (trees with fake snow) are accepted. 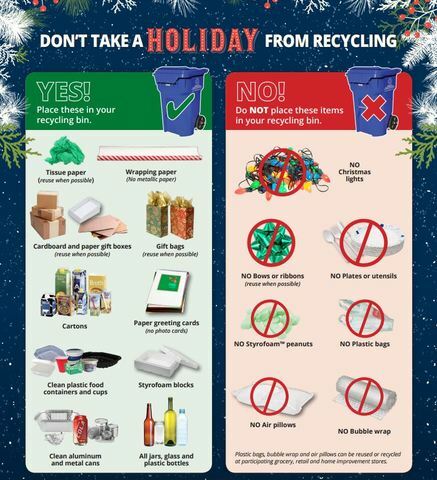 Everything must be taken off the tree before it’s dropped off and no artificial trees are accepted. Miramar Greenery also accepts tree throughout the year, in case you really want to keep the holiday spirit going. For those who live outside of the city of San Diego, residents who have yard waste collection can place trees curbside to be collected. Officials ask anyone who uses that option to place their trees in their own bins, making sure trees four feet in length are cut in half. Those using city-provided bins should make sure trees fit inside the container.